Joseph Thomson lived from 14 February 1858 to 2 August 1895. He was a geologist and explorer who played an important part in the "Scramble for Africa" in the 1880s and 1890s. The wider picture in Scotland at the time is set out in our Historical Timeline. 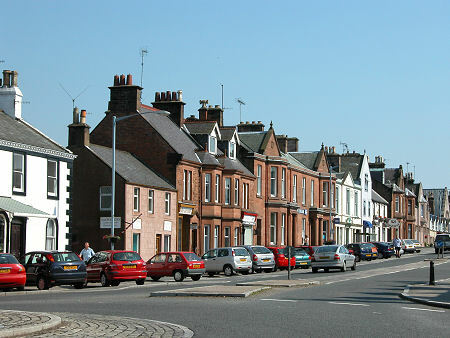 Joseph Thomson was born at Penpont near Thornhill in Dumfries and Galloway. An apprenticeship with his father, who was a stonemason, led to an interest in geology. This he pursued at the University of Edinburgh, where he studied under Archibald Geikie. 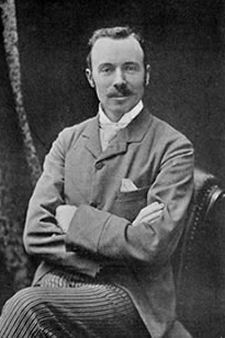 He graduated in 1878, and was appointed geologist and naturalist to Alexander Johnston's expedition across modern Tanzania to find a route from Dar es Salaam to Lake Nyasa and Lake Tanganyika. After Johnston's death, Thomson successfully assumed leadership of the expedition. In 1883, he undertook another Royal Geological Society expedition, this time to find a route from the east coast of Africa to the north shore of Lake Victoria. In 1885 he worked for the National African Company to try to head off German influence on the of the Niger River. In 1890, Cecil Rhodes commissioned Thomson to explore the land north of the Zambezi River and establish treaties and mining concessions with tribal chiefs on behalf of the British South Africa Company. The aim, on behalf of the British government, was to allow it to claim the area then called Zambezia (modern Zimbabwe and Zambia) as far north as the African Great Lakes. Thomson's mission was a moderate success, but an outbreak of smallpox prevented him travelling as far as the court of Msiri, King of Katanga. Here he was meant to help Sir Alfred Sharpe gain the King's agreement to the incorporation of his mineral-rich country into Zambezia. As Thomson's expedition was carrying the goods with which they hoped to bribe the king, no agreement was gained. The following year, a Belgian expedition to Katanga led by the Canadian-British explorer Captain William Stairs killed King Msiri and claimed Katanga on behalf of King Leopold II of Belgium, one of the more notorious episodes in the "Scramble for Africa" by the colonial powers. Katanga subsequently became part of the Belgian Congo. By 1891 Thomson's health was deteriorating as a result of a series of tropical diseases. In 1892, he additionally contracted pneumonia and spent time trying to recover in various parts of Europe and South Africa. Joseph Thomson died in London in 1895. The Thomson's Gazelle is named after him. In stark contrast to some of his contemporaries, Thomson is remembered for the way he avoided confrontations with his porters and with those he met on route. His motto was "He who goes gently, goes safely; he who goes safely, goes far."